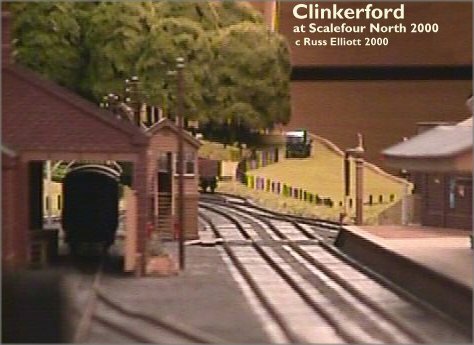 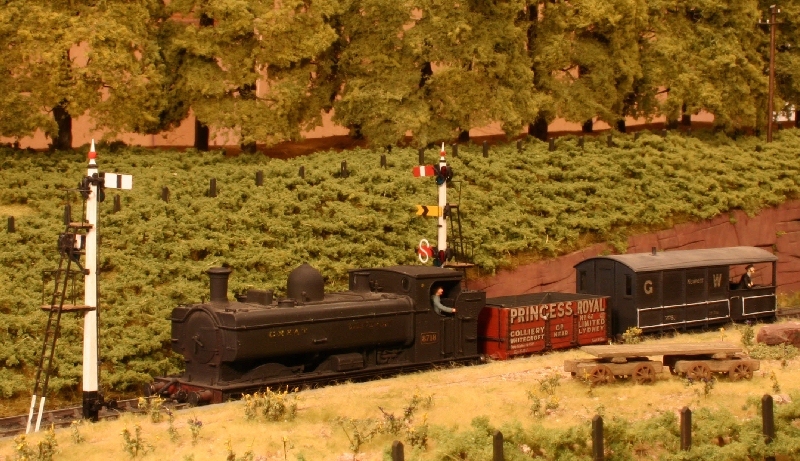 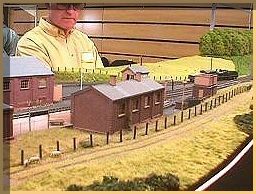 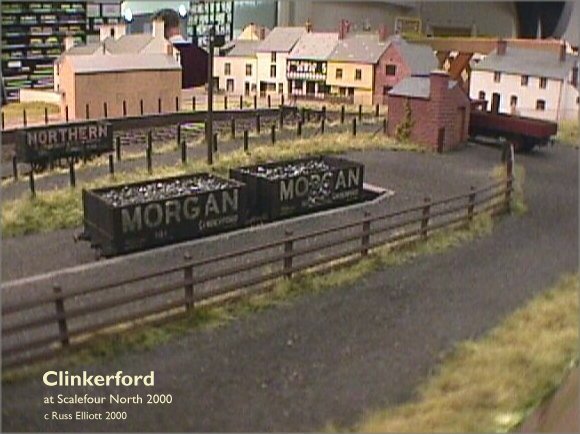 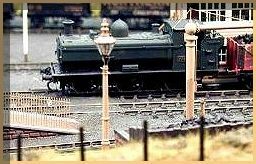 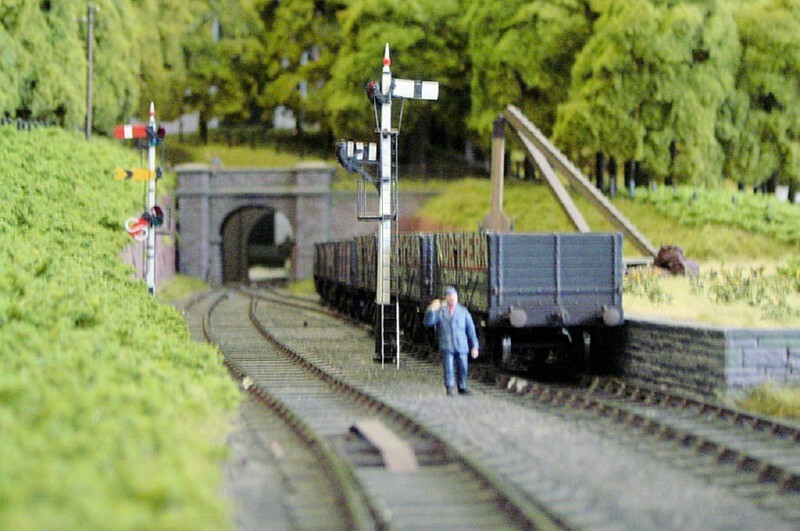 John Darch's 'Clinkerford' is a GWR branch terminus modelled in 4mm scale to P4 standards. 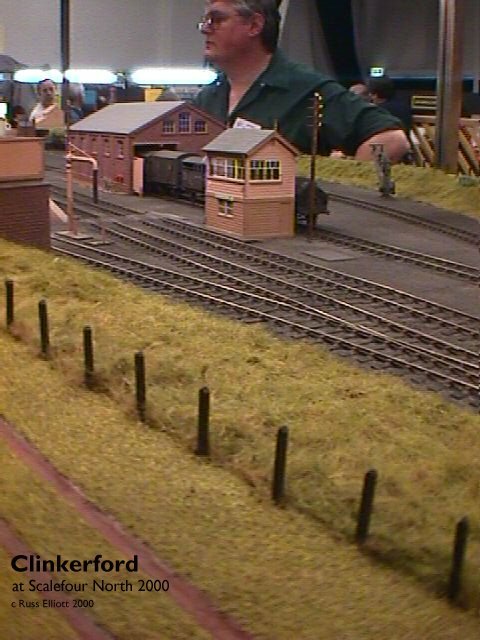 You can see more of Clinkerford on John's own website, and more pictures of Clinkerford can be found in John's RMweb album. 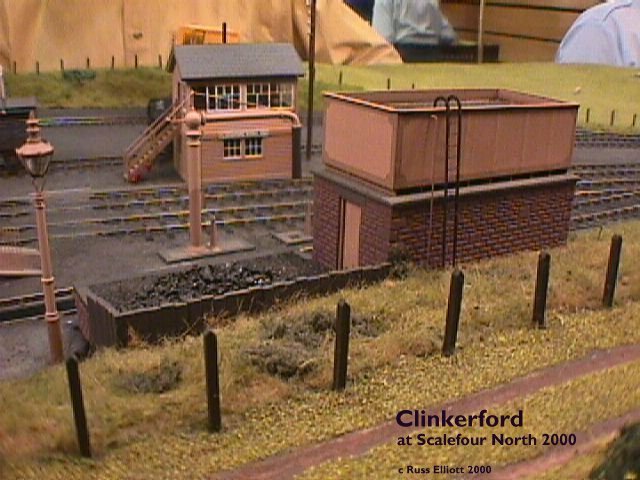 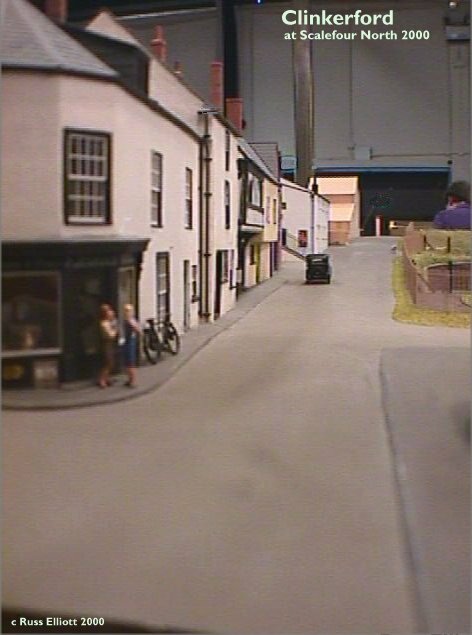 The pictures below were taken by Russ Elliott at Scalefour North 2000 on an early digital camera.